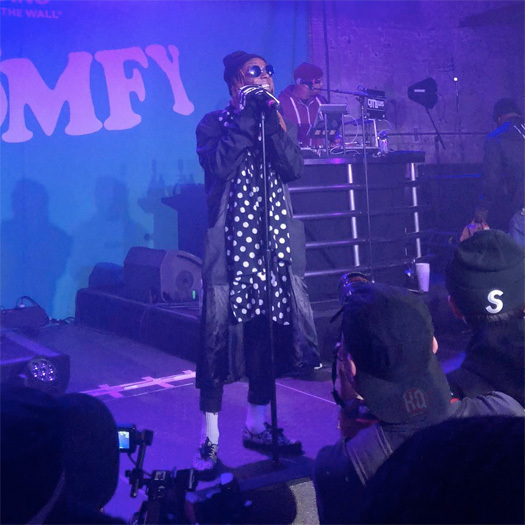 On February 21st, Lil Wayne was a surprise guest at the “ComfyCush High School” event by Vans, which took place at The 1896 studio in Brooklyn, New York. The RVSP-only event was put on to celebrate the new Vans ComfyCush Era. 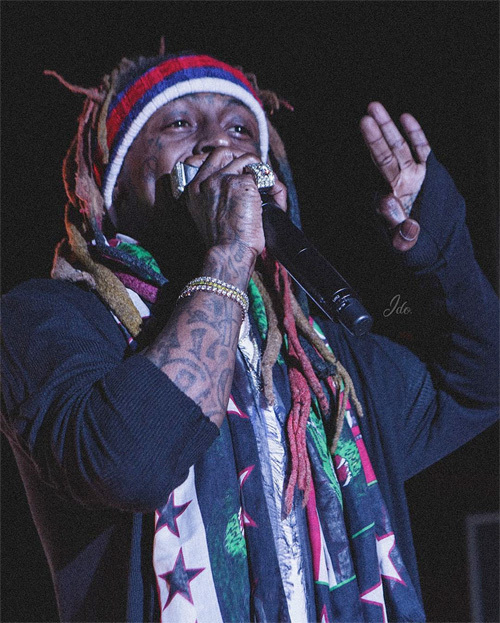 While he was in attendance, Weezy put on a live show for everyone. You can check out some photos of Tunechi performing live at the Vans event in Brooklyn after the jump below. Enjoy! 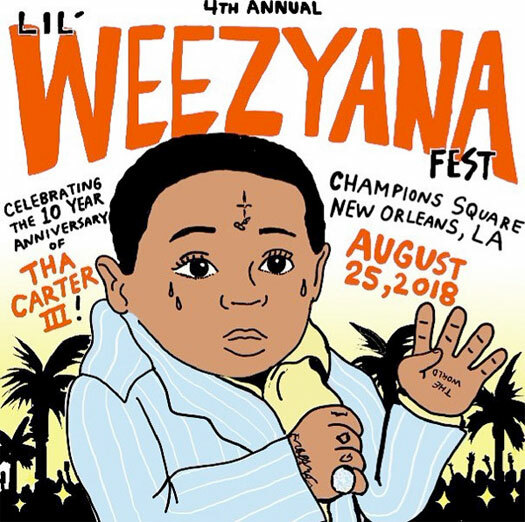 This year’s “Lil Weezyana Fest” is about to go down right now from Champions Square’s Bold Sphere Music in Lil Wayne‘s hometown New Orleans, Louisiana. The opening acts at the 4th annual music festival are going to be: Jeezy, Tory Lanez, Stephanie Acevedo, YoungBoy Never Broke Again, Jay Jones, Neno Calvin, and Vice Versa. Weezy will also be bringing out special guests during his set. Tonight’s show will pay tribute to the iconic Tha Carter III album and if you could not make the concert, you can stream it live after the jump below, courtesy of TIDAL! I’ll be sure to update this post after the show with what went down at this year’s “Lil Weezyana Fest“. 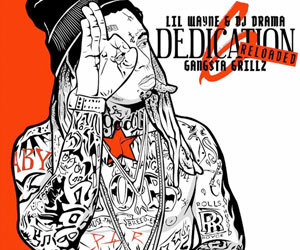 Do you think there will be any surprises from Tunechi? Enjoy! The special guests for Lil Wayne‘s upcoming 4th annual Lil Weezyana Fest have been announced, which will be taking place from Champions Square’s Bold Sphere Music in New Orleans, Louisiana on August 25th. 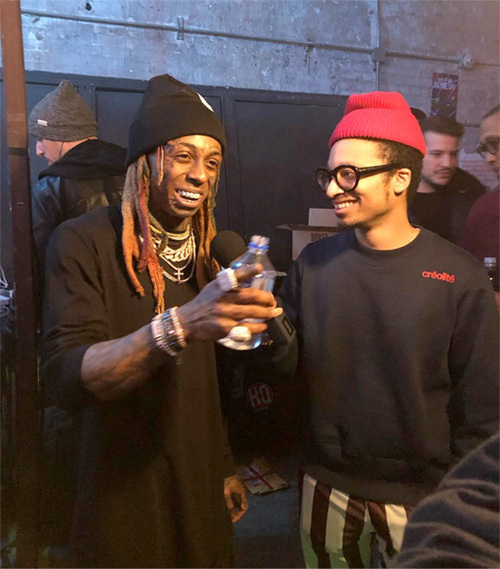 In the past, Weezy has brought out plenty of special guests including: Drake, Gucci Mane, Jadakiss, Chris Brown, 2 Chainz, Migos, August Alsina, Monica, Mystikal, Yo Gotti, Curren$y, Mannie Fresh, Partners-N-Crime, DJ Jubilee, Rico Richie, Young Greatness, Big Freedia, Showboys, Fiend, Ms. Tee, S-8ighty, 5th Ward Weebie, Jake Troth, Dizzy, Kidd Kidd, Juvenile, Turk, Master P, his Young Money artists, and more. This year’s Lil Weezyana Fest that is being presented by Q93 will celebrate the 10th anniversary of Tunechi‘s iconic Tha Carter III album. Will you be attending the annual Tune concert next weekend? 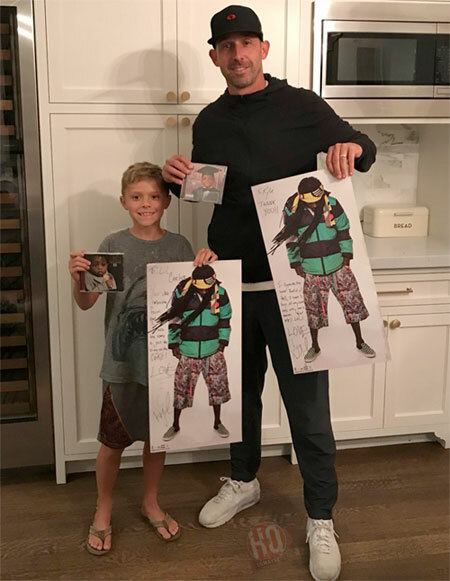 San Francisco 49ers coach Kyle Shanahan recently spoke on Lil Wayne sending him and his son Carter surprise gifts during a press conference, as well as if the origin of his son’s name is actually after Wayne. The NFL coach revealed that Weezy‘s PR team reached out to wide receiver Pierre Garcon and asked him to give two signed posters and two signed CDs to his manager. 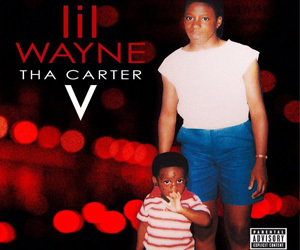 Kyle also mentioned that it was really thoughtful Mr. Carter sent him the explicit version of Tha Carter IV and his son the edited version of Tha Carter III. You can watch Shanahan discuss receiving gifts from Tunechi and see a close-up picture of exactly what Tune sent him after the jump below!